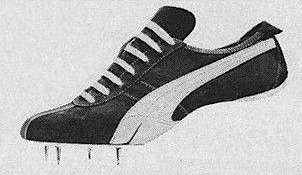 Before you buy any track shoe, turn it over. Examine the bottom, inside and out. 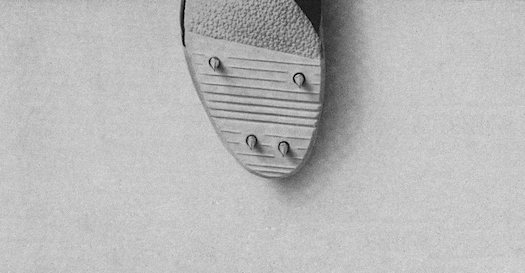 This is the most important part of the shoe … the area between the foot and the track. 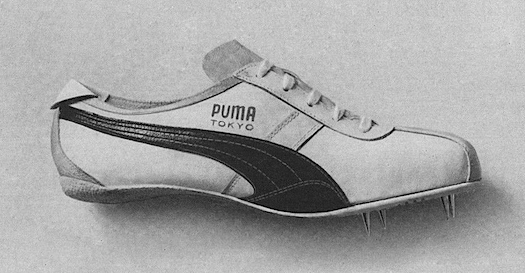 In the PUMA #275 track shoe, you’ll find a sole that’s guaranteed unbreakable, highly flexible Pumalon nylon, with cast-in detachable spike assembly. You’ll find spikes available for use on any type of track. You’ll find a patented heel-bone protector that makes bruising almost impossible. You’ll find the special form-fit Puma scientific orthopedic last fits like a second skin. And lightweight white Kangaroo uppers for soft comfort. puma #295 Mexico – with patented heel bone protector and unbreakable bottom. New slimmer steel spikes for greater traction, large foam padded tongue with lacing guide, special rubber reinforcement at ball of foot, and uppers of Super Kangaroo Suede, in red or blue. You can’t buy a better shoe.  JUST THE BEST OF EVERYTHING including METEOR Fiber Glass Vaulting Poles, SANDVIKEN – SEEFAB Steel Poles and Javelins, SANDSTROM Javelins and Discus, CANTABRIAN Standards. 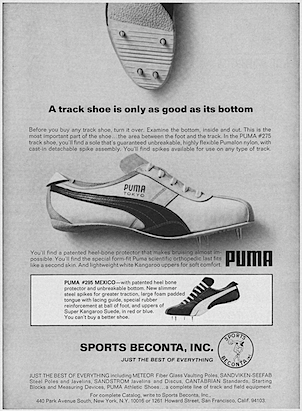 Starting Blocks and Measuring Devices, PUMA Athletic Shoes … a complete line of track and field equipment.